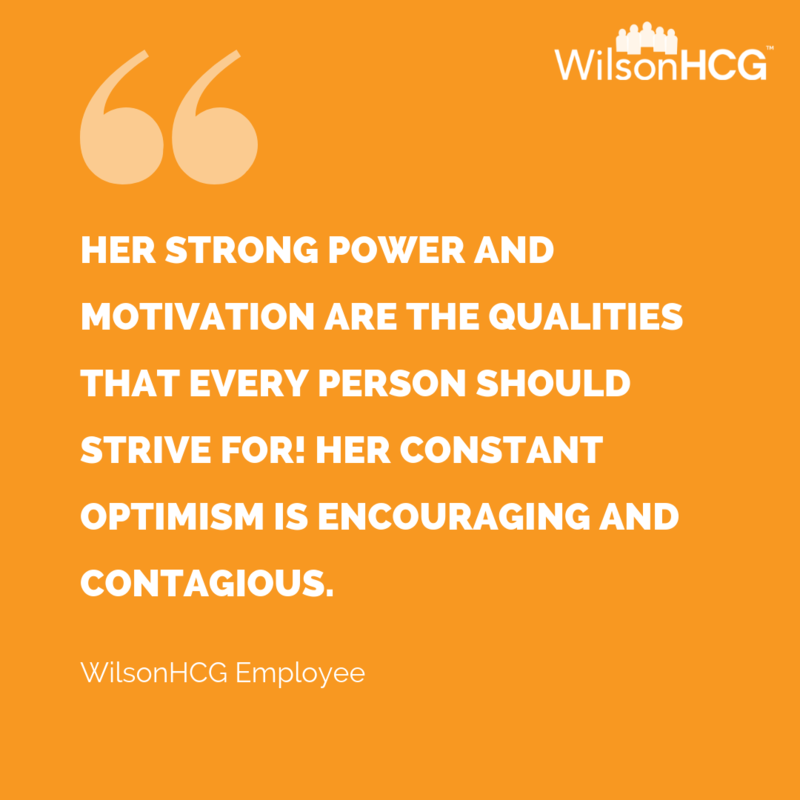 Libby Herrmann, VP of Client Solutions at WilsonHCG, is a finalist. She is based in West Des Moines, Iowa. I am going to go smaller, more under the radar, and say I’d be an insect. I’d like to be a dragonfly - because they embrace change (think about what they do by the second physically!) They also can soar, and that is pretty cool. Surprising my entire family with an “experience” trip of a lifetime! I’d love to take them to Bamph or Vancouver - that might change, though. I love to travel, but I think I’d love it even more with my family there. Definitely morning, but watch out. Hanging with me at night is like watching Elaine from Seinfeld dance. It’s fun but maybe a little clumsy. I like to straighten rugs wherever I go (at the gym, at home, wherever)! For anyone who knows me, you know that’s impossible! VERBOSE is one - but today I’ll choose: persistent, polite and perceptive (alliterative much?). Both of my grandfathers (now deceased). Grandpa Fritz passed away too young due to medical error, following routine bypass surgery- this, after working three jobs his entire life to support a family of six kids (two sets of twins). He demonstrated to me that family is bigger than anything else - and he lived and demonstrated that value with every breath. Grandpap Al was THE man - the one who caught Franco Harris’ big catch in a famous photograph, as he was the traveling photographer for the Pittsburgh Press, with the Pittsburgh Steelers during their absolute GLORY days. Think Terry Bradshaw, Lynn Swan, and he was great friends with Art Rooney - the owner of the team. And to this day, we still have cool signed notes from Mr Rooney to Grandpap. Such amazing stories he and my Grandma Rose share. 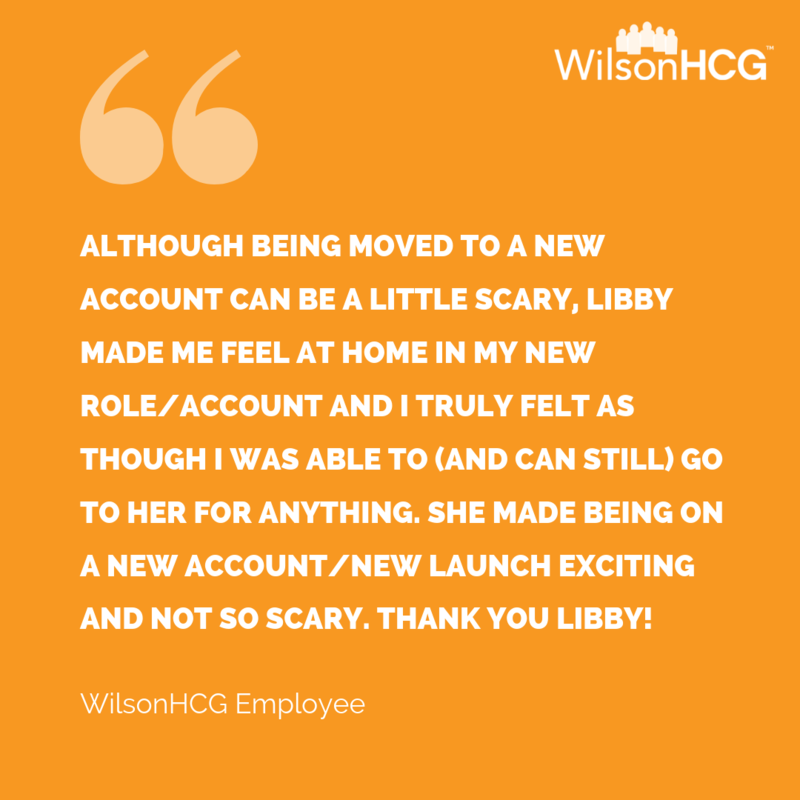 Stay with WilsonHCG and you’ll realize your dreams. It’s sort of like leaping and knowing the net will appear. I came here at entry level seven years ago in the only role I was qualified for at the time given my absolute NEW desire to learn about RPO. I wanted to learn about a new exciting industry that was exhibiting high growth, and whose leaders were real. I got everything I wished for and more. The company continues to give me more in the way of continued education, training, exposure to amazing clients and all of you as colleagues! So grateful to be here.